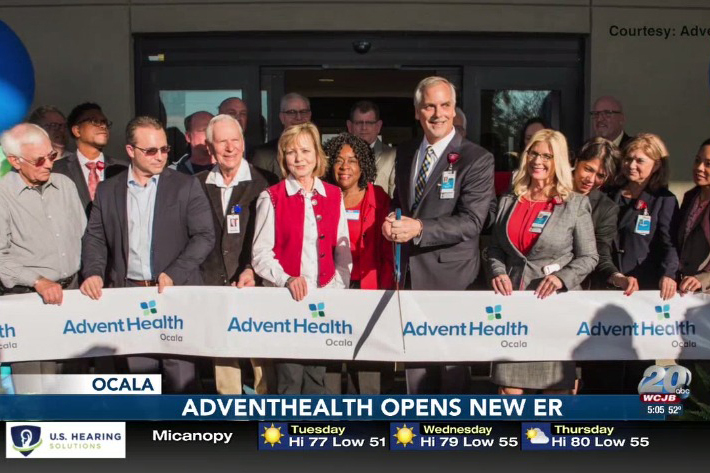 On February 5th, we celebrated with Advent Health for the grand opening of their newly expanded emergency department in Ocala, Florida. The celebration in their new space marked the end of one phase of renovations that included a new waiting room, three trauma rooms, a bariatric room, new nurse station and 20 private patient rooms. With the expansion of the emergency department, the hospital will be able to better serve the community when those unexpected visits to the emergency room happen. The second phase of this project will begin this week, adding more beds to further increase service capacity. Take a look at the video to get an inside look at the ribbon cutting!